Keeping your business information safe, is the top priority of IT departments around the world. While IT departments work hard to ensure servers are properly working and files are backed up, it can be daunting. With Midshire you can be sure you back-up what you want, when you want and that is safe and secure! Midshire offers both on premise server backup services and offsite / cloud backups, helping to meet any business requirement of our customers across the UK. Our Business Backup Storage is a flexible and manageable way of ensuring that all of your files, folders, servers and workstations are backed up, for each individual, team and department within your organisation. We understand the importance of business continuity and our backups can form a central part of your business continuity plan. Do you have a robust backup solution in place to ensure that your data is recoverable and protected? If you are a business owner, being prepared for the unexpected is critical. Your company’s servers may store your mission critical business information, so you need to be sure that this data can be replicated if your server experiences an error or worst case scenario, fails completely. 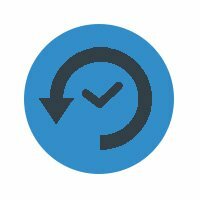 Server backups are data backups that copy your hardware data to another storage device separate to the one where the original copy is stored. Some modern server solutions such as the DataOn (link) products supplied by Midshire can be partitioned to provide multiple backups in one Cluster-in-a Box CiB. Backups your of your data can be done manually or automatically. They can be stored onsite for quick access, or physically moved offsite afterwards for archival reasons. Most companies traditionally start with an on premise solution due to its initial simplicity in understanding and setup. Midshire partners with Veeam to deliver powerful and efficient VM backup, that provide fast, flexible recovery and advanced VM replication functionality. The big difference between cloud backup and on premise backup can be its security. While your on premise storage could have security measures like vaults or locked file cabinets, they are still exposed to many vulnerabilities. Many businesses have been victims of theft or unfortunate disasters that can destroy on premise data, such as fires or flooding. Cloud backup data is stored in data centres with very tight security and around the clock surveillance. We offer cloud backup solutions to a variety of industries including: the health care profession, leisure clubs, solicitors and professional services, manufacturing and installation companies and technology companies. Midshire delivers an affordable, enterprise-grade solution for backing up your most important business information. We backup to our military grade data centre based in the UK and protect that data with our award winning online backup software. Finally, the on-going management of your data is done using an integrated centralised management platform. Midshire offers both image based and file and folder cloud backup options. Midshire partners with Double Take and Storage Craft to deliver powerful and efficient cloud backup, fast and flexible recovery and advanced VM replication functionality.